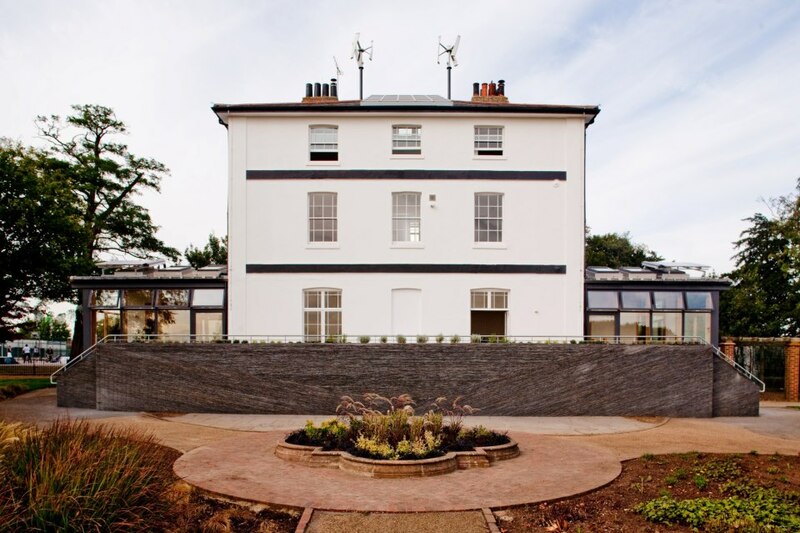 Metal renovated the previously unused Chalkwell Hall to become our base in Southend-on-Sea. The four storey, Grade II listed Georgian building sits within the grounds of the much loved Chalkwell Park in Southend on Sea. Built in 1830, the hall has a fantastic position at the brow of a hill, offering magnificent views of the Park and across the Thames Estuary to Kent. Metal commissioned award winning architect Bill Dunster of ZEDfactory and visual artists Ackroyd & Harvey to work together in turning the building into a low carbon space for artists-in-residence, events and creative conversation. The Hall is now well-used, housing upwards of 20 international and UK artists-in-residence each year who live-in for short periods of time, as well as hosting a wide range of events, exhibitions, classes, development and educational activities with schools. A key part of our activities is encouraging conversations with the wider communities of Southend and South Essex, celebrating the arts, exploring new projects and discovering creative opportunities. Our current regular programme includes Village Green, our music and arts festival that attracts around 20,000 visitors each year, Village Green Next Generation, our festival exclusively for the school pupils of Southend, Time and Space Residencies, which invite artists of all disciplines to stay in residence at Chalkwell Hall, Metal Art School’s classes, courses and creative sessions, NetPark, the worlds first Digital Art Park, NetPark Wellbeing Project, short courses and sessions to encourage positive mental health and ongoing Culture LABs, our hot-house talent development weeks for artists of different disciplines. For information on all of our past projects including Estuary 2016, On The Line and Anthem, please click here for our archive. Chalkwell Hall supports and hosts a wide range of activities, including community events, meetings, parties, gigs, book launches and workshops. If you would like to hold an event at Chalkwell Hall or hire one of our spaces, please fill out our booking form here. For directions, download this PDF.